Two Sues, one LOVE. Last week I was delighted to open up an email with a picture of a happy customer showing off her Citizen arm candy that she had just received. 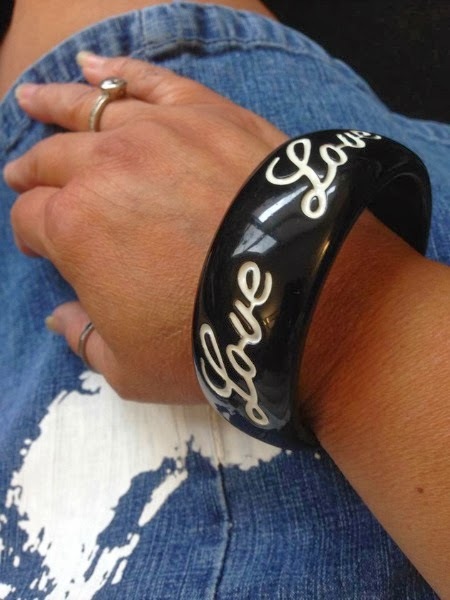 It was a LOVE bangle with the word "Love" emblazoned in a cursive scripts. A great piece. Very similar to a piece I had sold nearly six months before, to an old college friend of mine, who also happened to be named Sue. I texted her, and ask her if she still had her LOVE bracelet. Oh for sure, she replied- she wears it nearly every day. She shot back a quick pic from her iPhone, showing the LOVE in the driver's seat. Gotta love LOVE in the fast lane! I also adore the Peace bangle I recently sold to a friend. 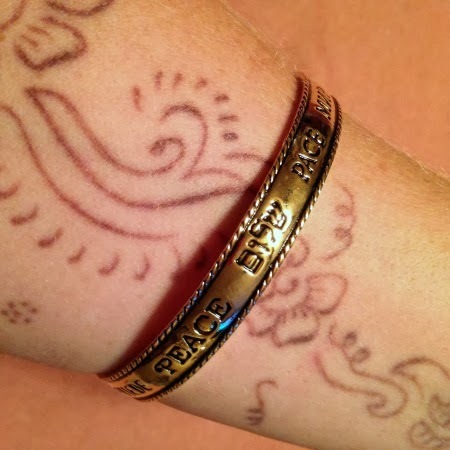 It's a vintage metal bangle from Avon, and says Peace in various language. 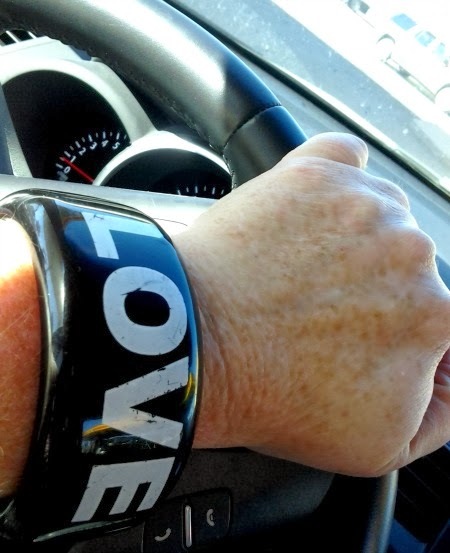 It made my day when she sent in a picture of her arm showing off her new trinket. I like the way it looks with her henna adornment. I also like the way my folks love sharing their Citizen finds! Thank you Sue, and Sue and lovely Noel for your support, and for sporting your love and peace so nicely. 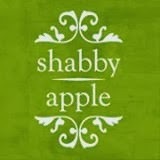 A gentle reminder to my US readers to enter the Shabby Apple give-away! You've got one more week left to enter, and a really great dress to gain. Enter via Rafflecopter widget here. You can like them on Facebook, and follow them on Instagram, here and here. Thank you all for your love and support- I appreciate each and every one of you, coming here for a read and a visit. I truly couldn't do this without YOU! Great bangles. You've got taste, buddy. What cute bracelets! Was in the process of entering the Shabby give away, but the Instagram thing just made it too complicated for me. Showing my age, aren't I! Beautiful, Bella! And, I might add, Beautiful Bella! I am playing catch-up now after a busy few days! As always. I know you are busy too. And here is another satisfied customer with a bracelet from you haha. It might have LOVE written on it, but I can feel it. Great addition to my wardrobe..